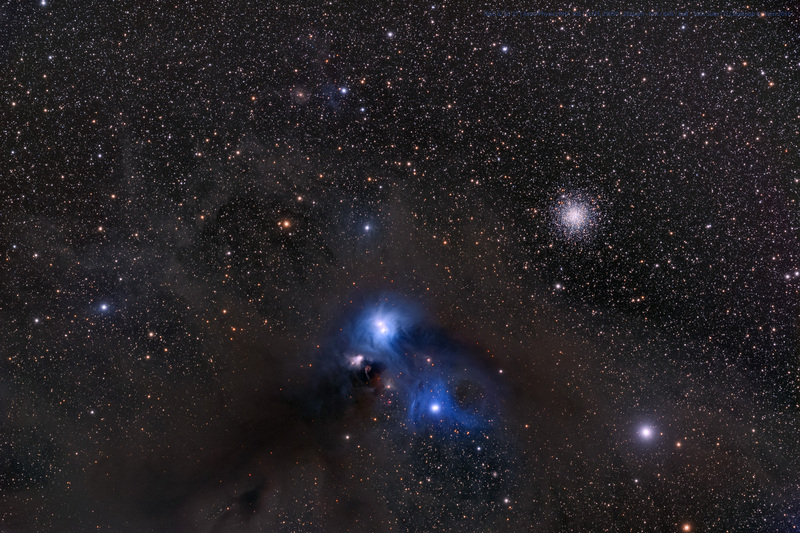 NGC 6726 is one of several blue reflection nebulae which are embedded in the CrA Molecular Complex, which stretches for about 8° x 3°, over the constellations of Corona Australis and Sagittarius. The densest area of this molecular cloud, with about 1.5 square degrees, is called Bernes 157. Be 157 is situated about 500 light years from us.